I have been meaning to blog about this exhibition but I have been a little busy and ill recently. I did not know much about this famous icon but I learnt a lot from this exhibition. For example I didn't realise she was a ballet dancer to begin with. The exhibition went from her childhood all the way through to when she died not to long ago. Even from a very young age she was beautiful. Through the exhibition there was a variety of photographs that stood out to me one of them being a image featured in LIFE magazine. There is a series of photos linked with this one, all taken in the Italian Countryside. Her cropped hairstyle and very chic yet informal clothing shows her energy yet elegance from her ballet days. Her stare straight into the camera is very enticing again showing beauty with very little makeup. 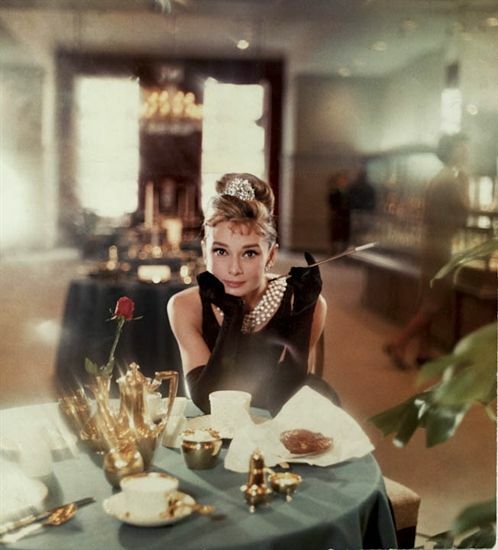 Another image I fell in love with at the exhibition not just by the stunning tones of pinks but the beauty of the image along with Audreys' iconic stare, again enticing and beautiful. In this photo she wears a Givency dress, her glance responding to modes of femininity during the 50s. Plus I am a 50s girl at heart and this dress is stunning! A very iconic image of Audrey Hepburn in one of her most noticed roles on the big screen. Seeing the original photo was stunning created with a dream-esque yet sophisticated style of the photo draws you in to Audreys' natural beauty straight in the centre. The rose to the left of her again symbolizing not only romance and love but again beauty. 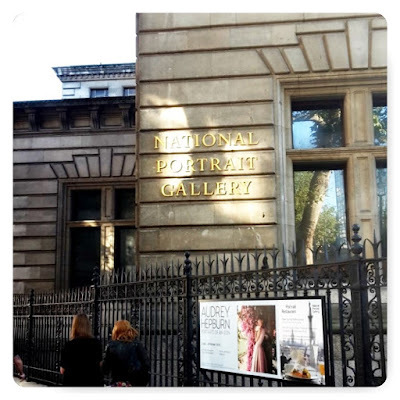 If you get a chance go see this exhibition at The National Portrait Gallery, there is a few photos that know one has ever seen even a pair of her ballet slippers she once owned before doing films. It is on until the 18th October.